Please visit our Open House at 104 410 AGNES ST in New Westminster. I have listed a new property at 104 410 AGNES ST in New Westminster. I have sold a property at 406 335 CARNARVON ST in New Westminster. Please visit our Open House at 406 335 CARNARVON ST in New Westminster. Location, Location. Kings Garden 2 Bedroom, 2 Bathroom in the heart of Downtown New Westminster. Gas fireplace, in suite laundry, large walk in closet in the master bedroom. Steps away from Columbia Skytrain Station, New West Pier/Board Walk, Daycare Centre in the building, top unit with 2 private balconies, watch the fire works this year from the Hugh common rooftop deck. It won't last long. Open house Sat. Feb. 9th, 2-4 pm.. Location, Location. Kings Garden 2 Bedroom, 2 Bathroom in the heart of Downtown New Westminster. Gas fireplace, in suite laundry, large walk in closet in the master bedroom. Steps away from Columbia Skytrain Station, New West Pier/Board Walk, Daycare Centre in the building, top unit with 2 private balconies, watch the fireworks this year from the huge common rooftop deck. It won’t last long. Open House Saturday Feb 2nd, 2-4 pm. I have listed a new property at 406 335 CARNARVON ST in New Westminster. Location, Location. Kings Garden 2 Bedroom, 2 Bathroom in the heart of Downtown New Westminster. Gas fireplace, in suite laundry, large walk in closet in the master bedroom. Steps away from Columbia Skytrain Station, New West Pier/Board Walk, Daycare Centre in the building, top unit with 2 private balconies, watch the fireworks this year from the huge common rooftop deck. It won’t last long. Open House Saturday Feb 2th, and Sunday Feb 3rd from 2-4pm. I have sold a property at 306 312 CARNARVON ST in New Westminster. Nicely Updated 2 Bedroom CORNER Unit at Canarvon Terrace in a terrific location with fabulous Fraser River views! Spacious & bright South facing 865 Sq ft condo has been updated throughout the years and includes laminate floors & New Baseboards throughout the main living area & 2 large carpeted bedrooms. Kitchen features light maple cabinets and has brand new stove, fridge & convection microwave. Kitchen extension with maple cabinets & granite countertops extend into the dining area for added storage and cooking space. Living area is extended with slider access to a large covered balcony & full water views. Proactive strata has done many upgrades including balconies, railings, windows, exterior & roof. 1 UG Parking & Storage locker complete this suite! Walking distance to the Skytrain! Please visit our Open House at 306 312 CARNARVON ST in New Westminster. OPEN HOUSE SUNDAY NOVEMBER 18 2-4PM. Nicely Updated 2 Bedroom CORNER Unit at Canarvon Terrace in a terrific location with fabulous Fraser River views! Spacious & bright South facing 834 Sq ft condo has been updated throughout the years and includes laminate floors throughout the main living area & 2 large carpeted bedrooms. Kitchen features light maple cabinets and has brand new stove, fridge & convection microwave. Kitchen extension with maple cabinets & granite countertops extend into the dining area for added storage and cooking space. Living area is extended w/slider access with a large balcony & full water views. Proactive strata has done many upgrades including balconies, railings, windows, exterior & roof. 1 UG Parking & Storage locker complete this suite! Walking distance to the Skytrain! Nicely Updated 2 Bedroom CORNER Unit at Canarvon Terrace in a terrific location with fabulous Fraser River views! Spacious & bright South facing 834 Sq ft condo has been updated throughout the years and includes laminate floors throughout the main living area & 2 large carpeted bedrooms. Kitchen features light maple cabinets and has brand new stove, fridge & convection microwave. Kitchen extension with maple cabinets & granite countertops extend into the dining area for added storage and cooking space. Living area is extended w/slider access with a large balcony & full water views. Proactive strata has done many upgrades including balconies, railings, windows, exterior & roof. 1 UG Parking & Storage locker complete this suite! Walking distance to the Skytrain! OPEN HOUSE SUNDAY NOVEMBER 4th 2 - 4 PM! Nicely Updated 2 Bedroom CORNER Unit at Canarvon Terrace in a terrific location with fabulous Fraser River views! Spacious & bright South facing 834 Sq ft condo has been updated throughout the years and includes laminate floors throughout the main living area & 2 large carpeted bedrooms. Kitchen features light maple cabinets and has brand new stove, fridge & convection microwave. Kitchen extension with maple cabinets & granite countertops extend into the dining area for added storage and cooking space. Living area is extended w/slider access with a large balcony & full water views. Proactive strata has done many upgrades including balconies, railings, windows, exterior & roof. 1 UG Parking & Storage locker complete this suite! Walking distance to the Skytrain! OPEN HOUSE SATURDAY OCTOBER 20th 12 - 2 PM! I have listed a new property at 306 312 CARNARVON ST in New Westminster. Nicely Updated 2 Bedroom CORNER Unit at Canarvon Terrace in a terrific location with fabulous Fraser River views! Spacious & bright South facing 834 Sq ft condo has been updated throughout the years and includes laminate floors throughout the main living area & 2 large carpeted bedrooms. Kitchen features light maple cabinets and has brand new stove, fridge & convection microwave. Kitchen extension with maple cabinets & granite countertops extend into the dining area for added storage and cooking space. Living area is extended w/slider access with a large balcony & full water views. Proactive strata has done many upgrades including balconies, railings, windows, exterior & roof. 1 UG Parking & Storage locker complete this suite! STUNNING, UNOBSTRUCTED VIEWS of the Fraser River! Boasting 1,240 sq ft of living space, this 2 bedroom plus family room features a beautiful kitchen with stainless steel appliances including a gas stove and built-in microwave, granite countertops plus a convenient pantry. Living and dining rooms with floor to ceiling windows, flooding the rooms with natural light! Enjoy the views from your living area or step out to the large, covered balcony! Perfect for entertaining! Large Master with 4 pc ensuite, 2 closets plus access to the balcony. Both bedrooms enjoy the views! 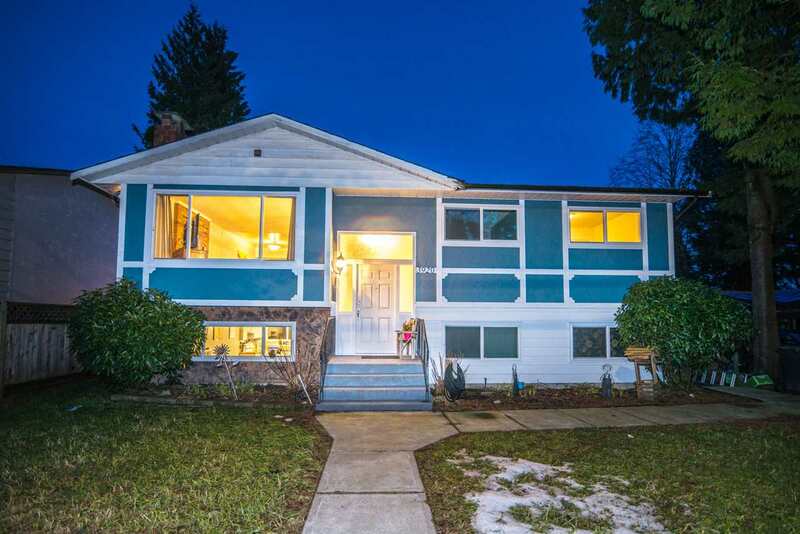 FANTASTIC central location in the heart of downtown New West. Walk to Skytrain, Douglas College, New West Quay and the shops and services of the vibrant heritage district of Columbia Street. AMAZING amenities! Gym, sauna, bike room, playground and the 5th floor garden area! Rentals allowed and pet friendly! I have sold a property at 506 65 FIRST ST in New Westminster. Investors Alert, Rentals Allowed! !This spacious one bedroom features, ground level fully fenced, big yard/patio, laminate flooring throughout, one parking and one storage locker. Handyman special just waiting for your ideas. Conveniently located on a quiet street, close to downtown New Westminster, short walk to skytrain, close to shcools, parks and shopping. I have listed a new property at 506 65 FIRST ST in New Westminster. I have sold a property at 1201 888 CARNARVON ST in New Westminster. I have listed a new property at 1201 888 CARNARVON ST in New Westminster. Please visit our Open House at 1201 888 CARNARVON ST in New Westminster.